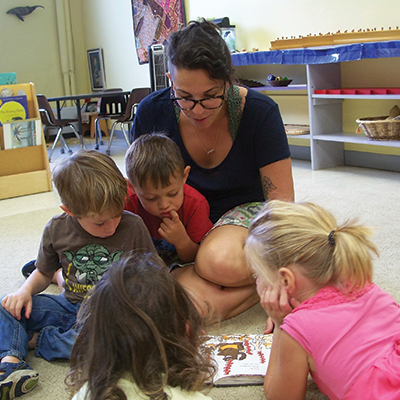 Welcome to Wellfleet Montessori Preschool. 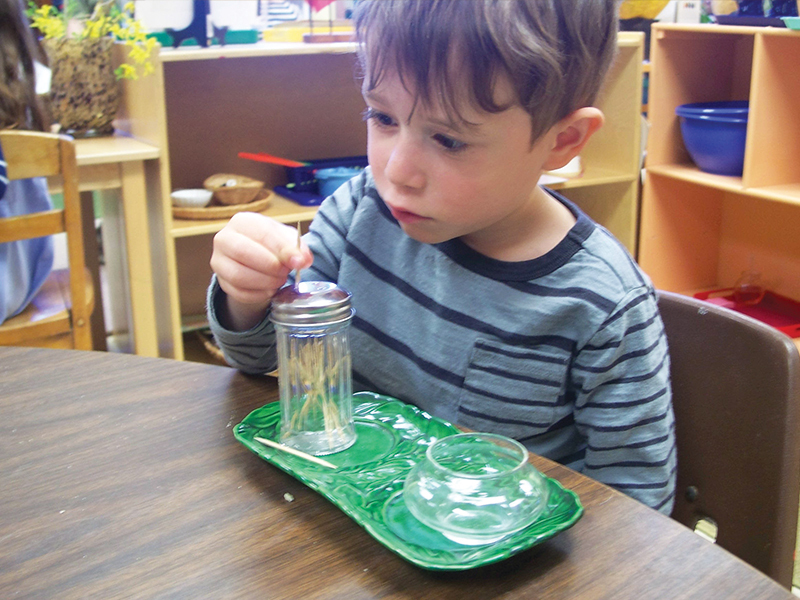 Nestled in the seaside town of Wellfleet, Massachusetts, this parent cooperative preschool educates children ages 2.9 through 5 years old by using the internationally recognized Montessori Method. See what our approach to early-childhood development looks like. 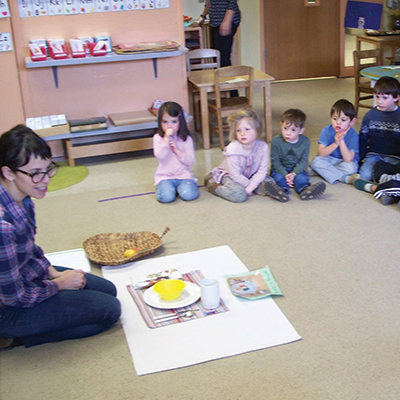 Wellfleet Montessori Preschool is fully accredited by the Massachusetts Early Education and Care (EEC) agency. independently thru their educational journey. 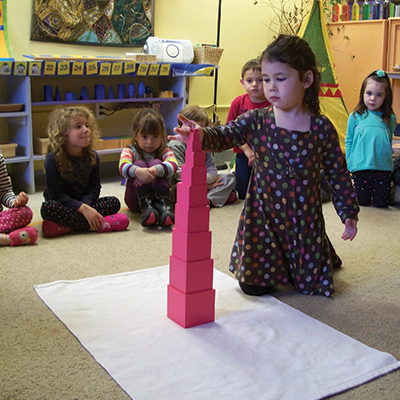 Beth Foerster has practiced the Montessori Method for more than fifteen years. She and her lead instructor, Leah Harrington, both hold 3-6 Montessori credentials and stay at the forefront of the field through ongoing professional development. Come meet our teachers. Children gain a sense of being and belonging by learning life skills through firsthand experiences participating in everyday activities centered on caring for oneself, caring for the environment, grace and courtesy, and movement of objects. See what else our curriculum covers. This parent co-op preschool is run by a board of directors made up of volunteer parents and the preschool director. 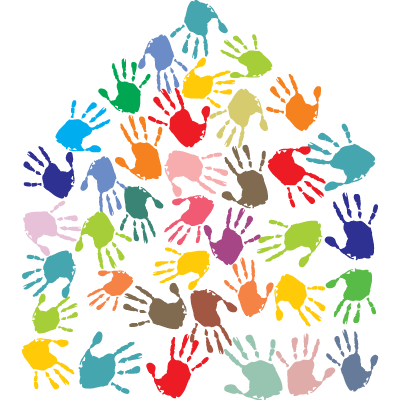 Parents are encouraged to attend and participate in all board meetings, as well as donate time to the numerous initiatives and operational tasks necessary to sustain an effective preschool. We make it fun. Give us a hand! The families who make up the community of the school are a meaningful and essential part of the children’s education. We are a dynamic community who puts on a variety of activities and events throughout the year so children and their families can benefit from shared experiences. See for yourself. 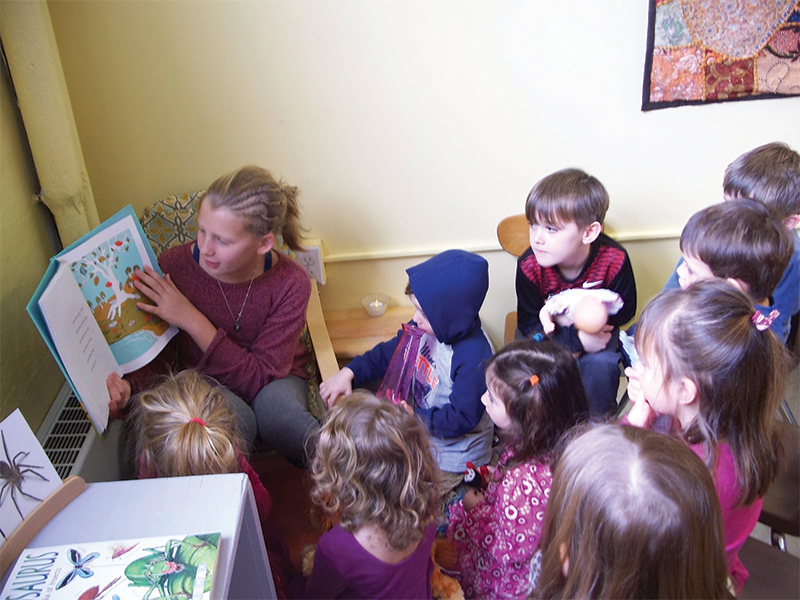 Wellfleet Montessori Preschool currently offers music, art, peace education, Spanish, cooking, literature, and cultural studies throughout the week in order to provide a broader educational experience for each child. All of these enrichment subjects are explored in-depth during circle time, as well as during the daily curriculum in integrated ways. The goal of Montessori education is to encourage independence, love of learning, and a positive sense of self in a prepared environment. 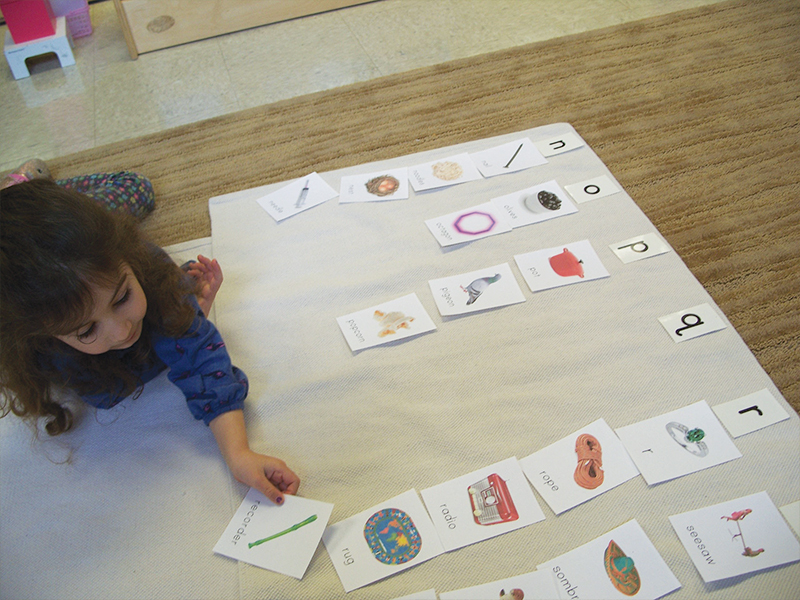 Each child is encouraged to function independently at his or her own developmental rate. In this environment, the child is guided through reaching his or her own potential academically, socially, and emotionally, with the freedom to be themselves. Practical Life activities teach everyday skills for coordination and independence. By practicing such essential actions as spooning, pouring, twisting, squeezing, and sewing, the child can care for the environment, take care of themselves, and practice grace and courtesy. 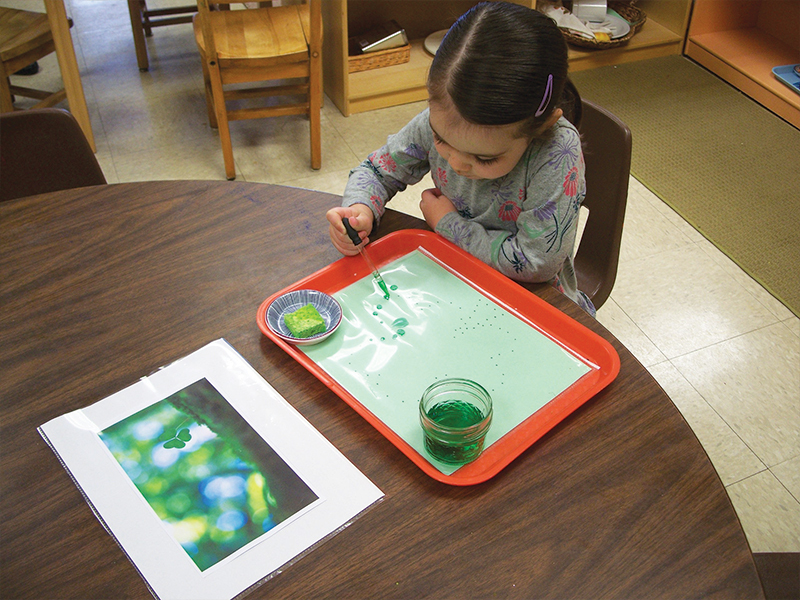 The Sensorial curriculum guides the child to be an acute observer who appreciates the beauty surrounding them. Step-by-step, the child experiences each of the human senses in isolation, including concepts of size, color, form, touch, taste, weight, temperature, and more. 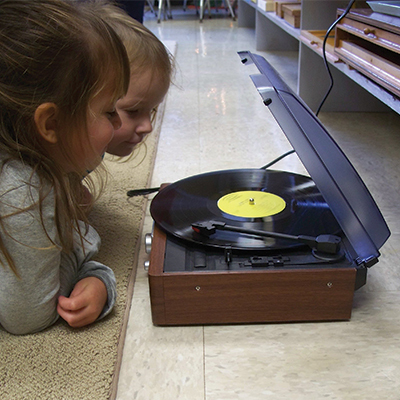 Building on such language skills as listening, understanding, and basic speech patterns, the child advances to hear and analyze the sounds as well as the meaning of language. 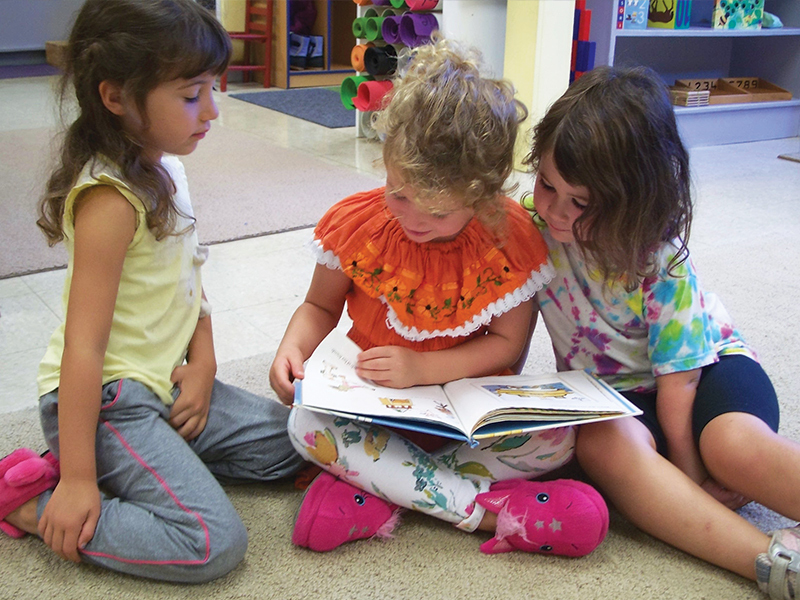 A love of literature, good communication skills, and a strong self-esteem are developed by listening, storytelling, reading, and performing dramatic plays. 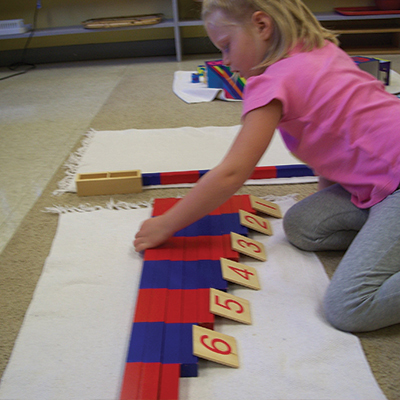 Children are introduced to math concepts and practical applications by using concrete materials in the environment. 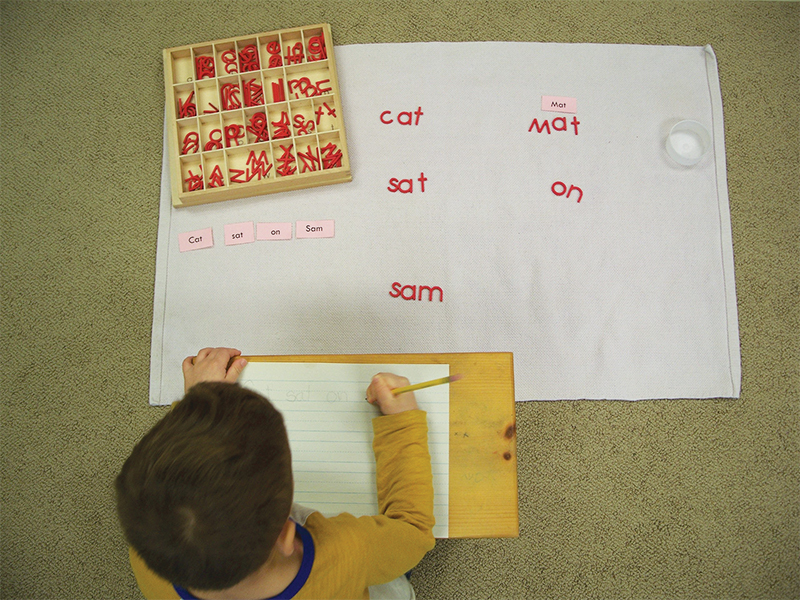 Abstract concepts are introduced through sensorial, manipulative experiences, which require the child to order, distinguish, make judgements, and problem solve. 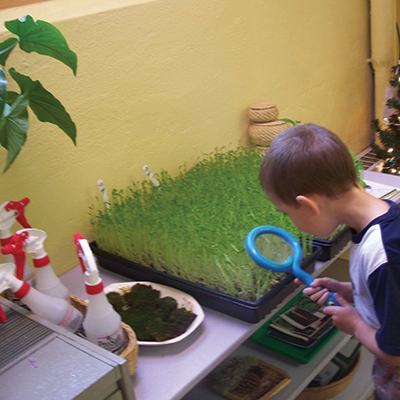 The science area of the classroom is always changing to attract children and enable them to explore nature within the classroom. Through hands-on learning, they explore the four seasons, classifications of plant and animal life, as well as the parts of insects, animals, trees, and flowers. Children can travel around the world without leaving the classroom in the geography area. Educational globes open ways to learn about land, air, and water, as well as deserts, mountains, forests, and other regions. Then, children investigate a variety of languages, cultures, and traditions in our global community both in class and at school events. The Winner for the Costa Rica Raffle is the Rice Family!!! 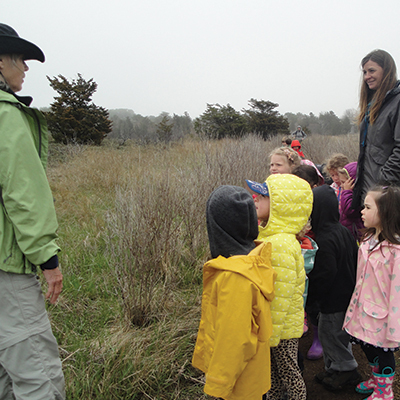 and supported Wellfleet Montessori Preschool. Register Your Little One With Us Today!